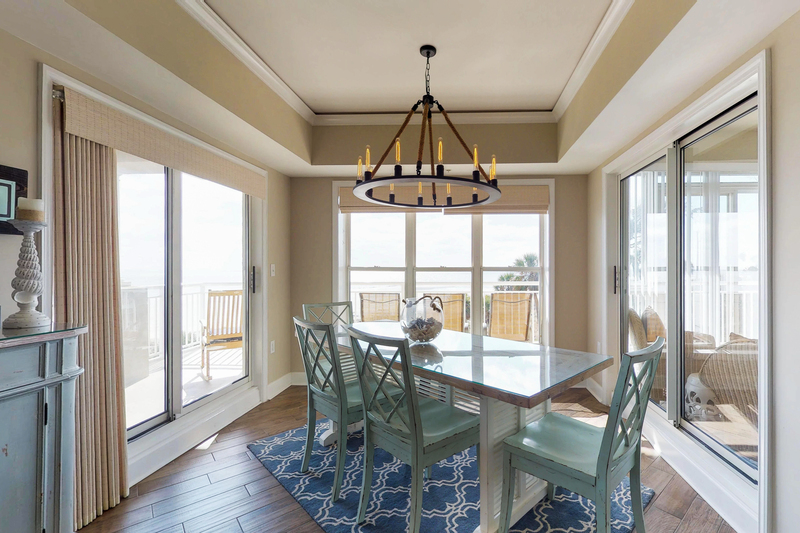 This beautifully remodeled third floor Hampton villa is direct oceanfront and offers a panoramic view of the Atlantic Ocean from every room! 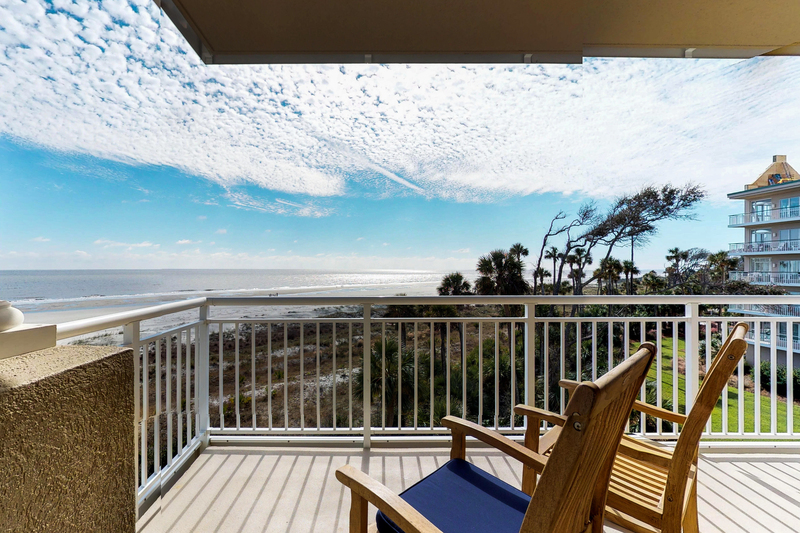 A large oceanfront balcony makes this villa "truly" direct oceanfront. 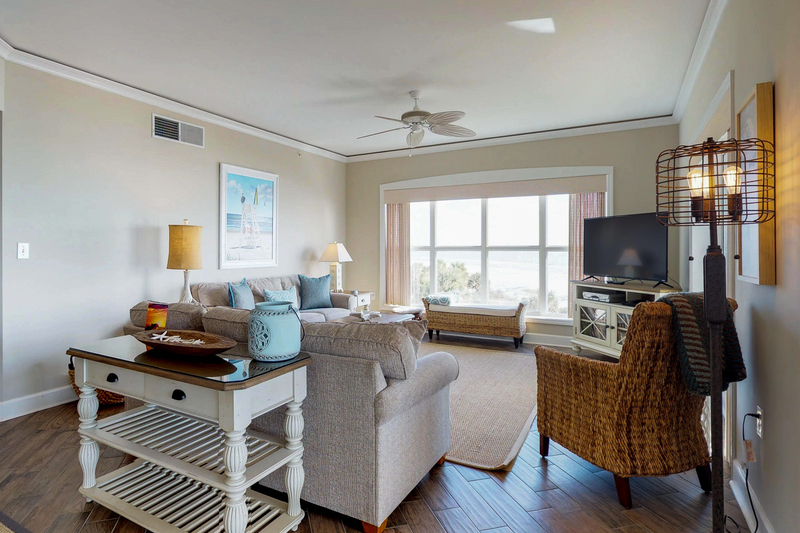 The spacious living area, with direct oceanviews, features two full size sofas (one that opens to a sleeper), a 50" flat screen TV with DVD player, stereo, and wet bar. 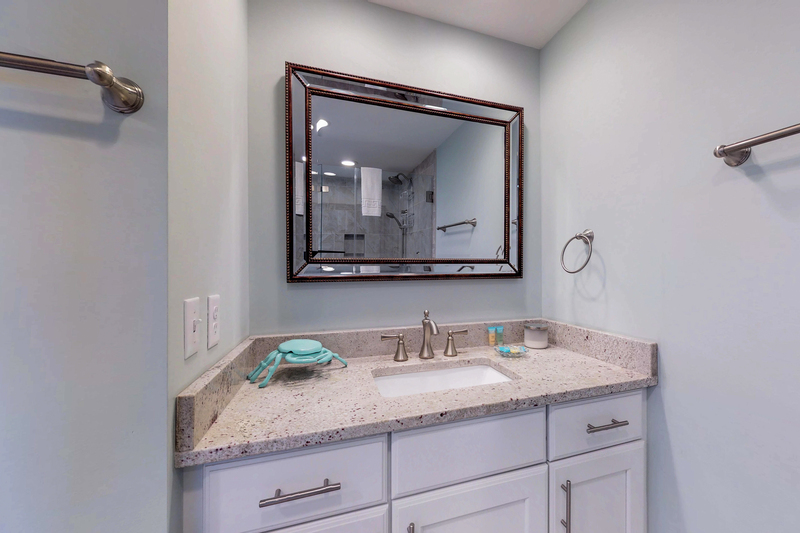 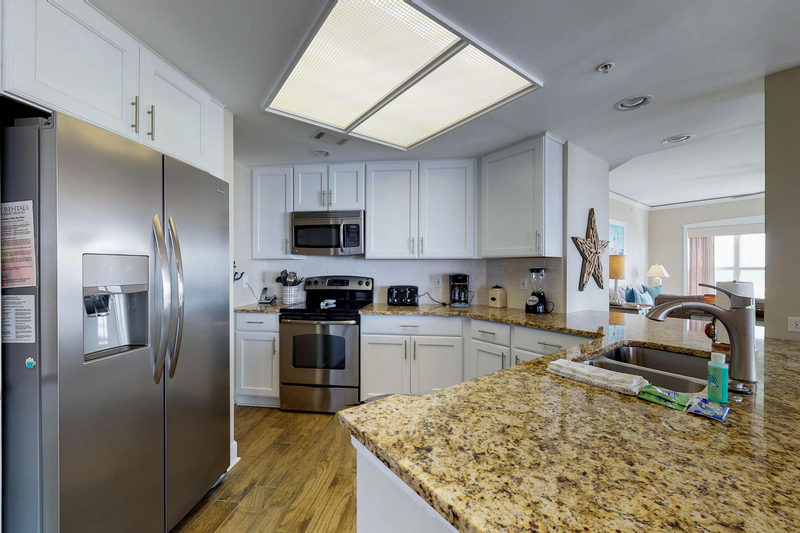 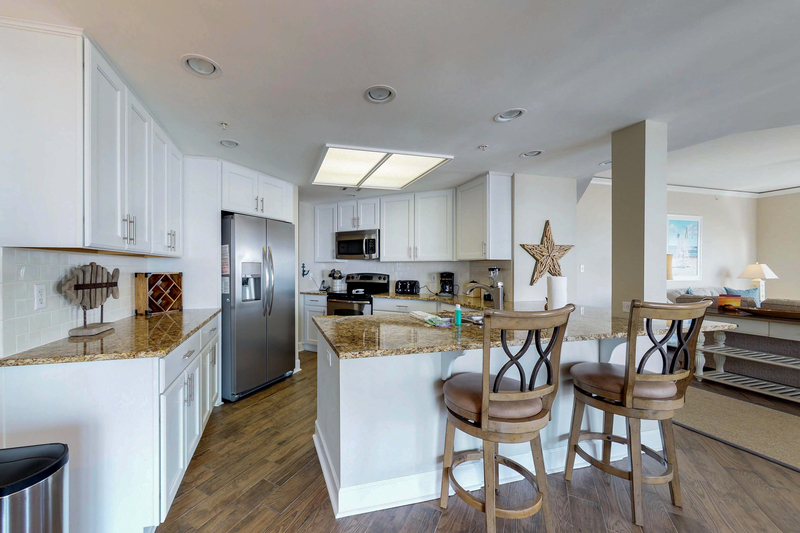 The adjacent dining area has a beautiful hand-rubbed oak table with four chairs and a bench seat.The fully furnished kitchen has custom cabinets, corian counter-tops, and stainless appliances. 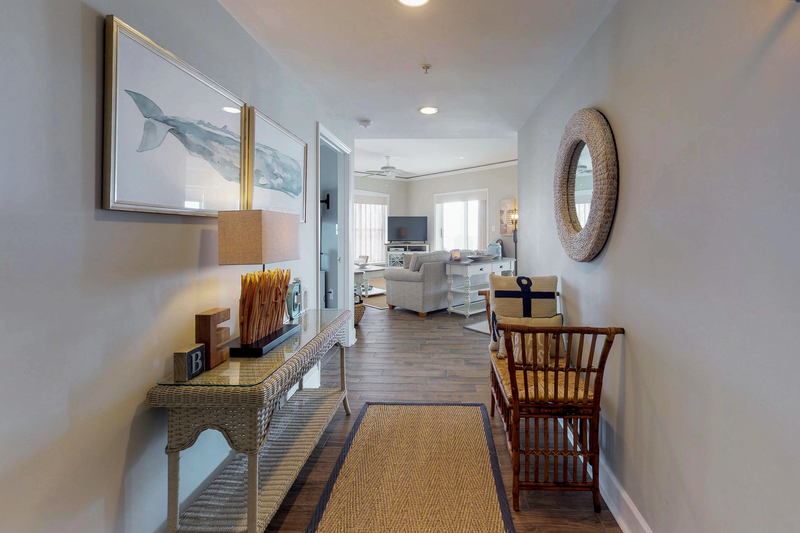 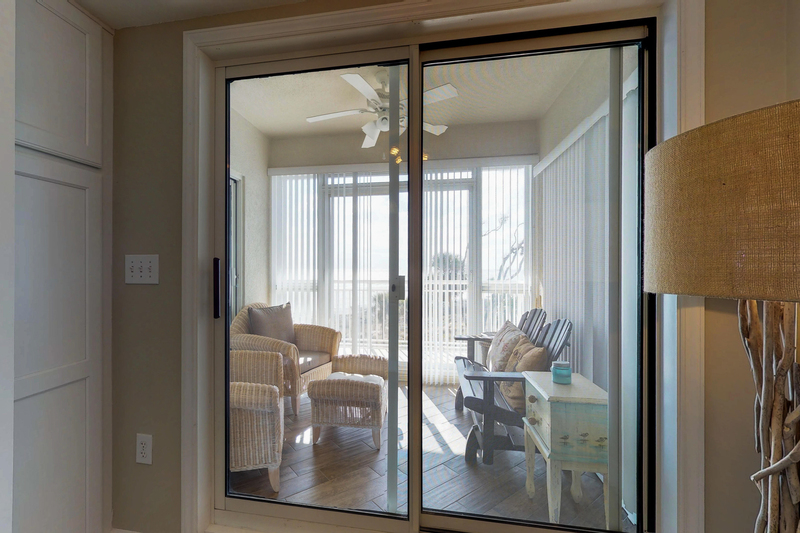 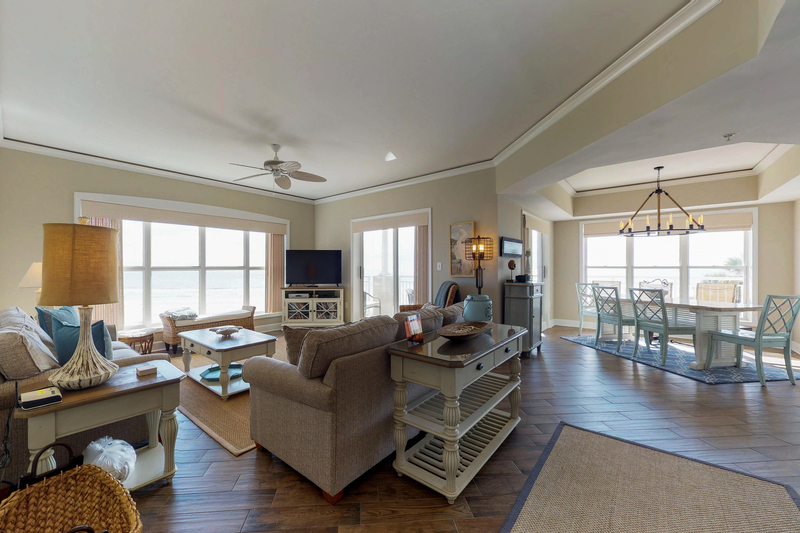 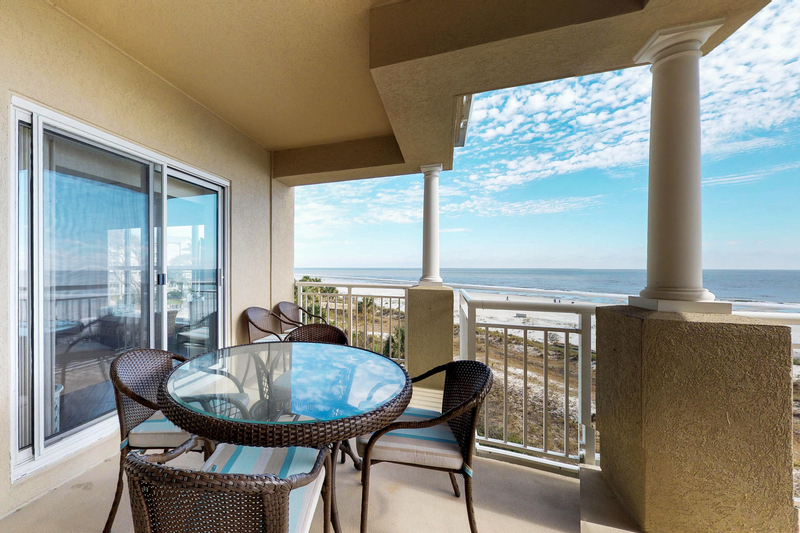 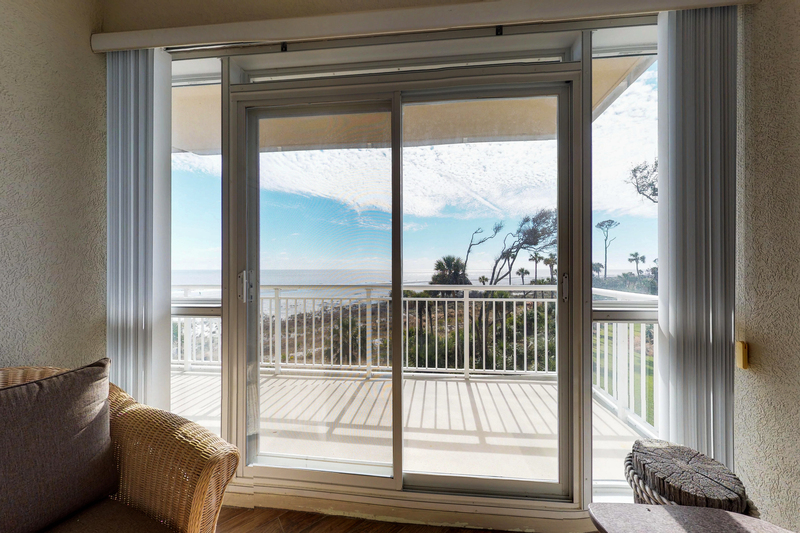 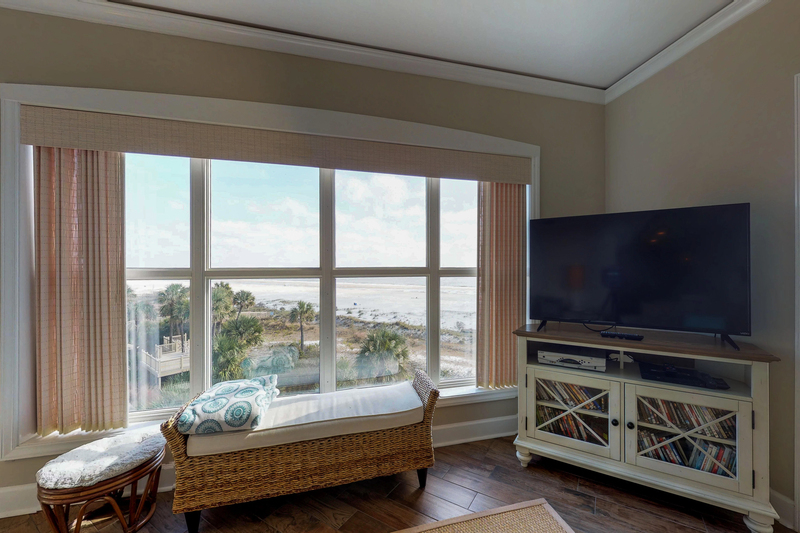 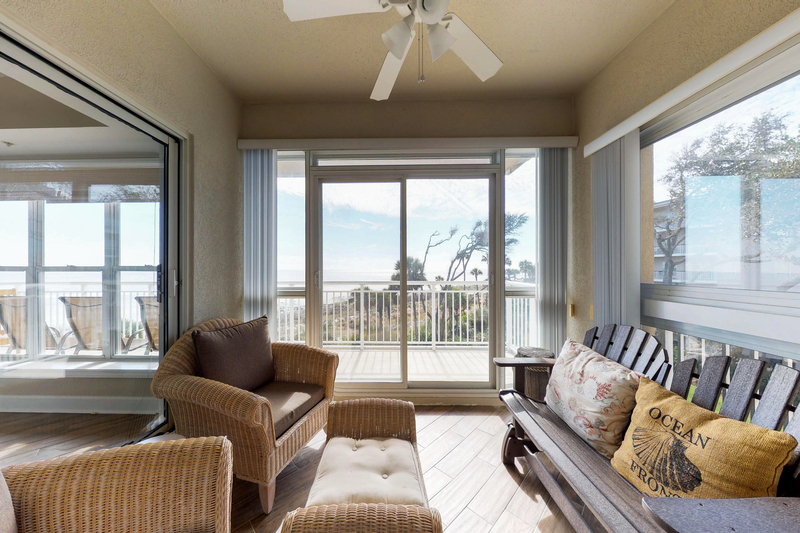 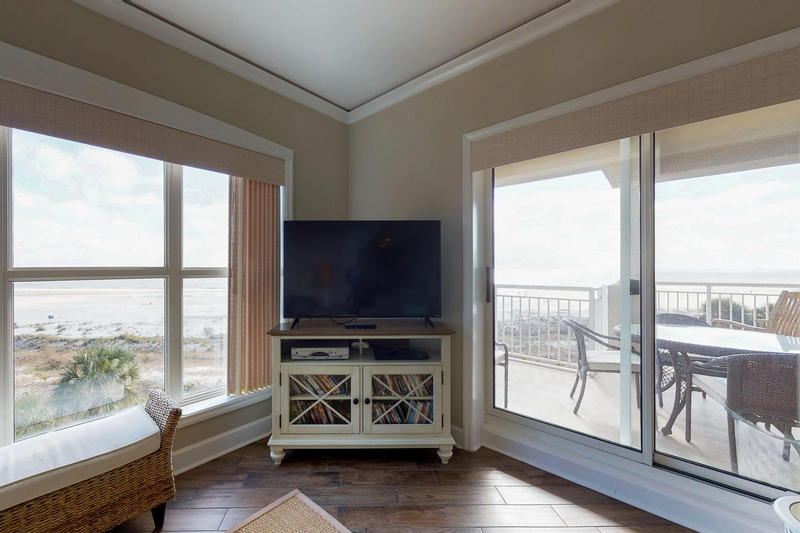 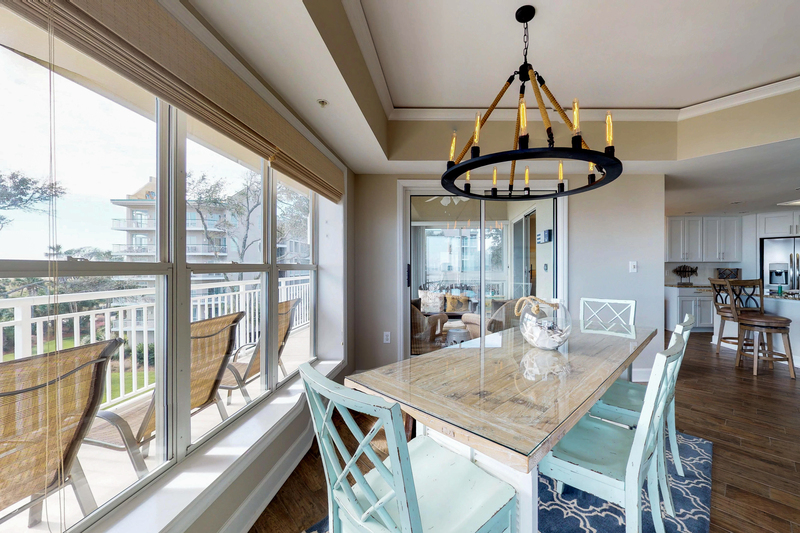 There is an oceanfront screened Carolina room for relaxing with friends and family, reading, or just enjoying the ocean view and cool breezes. 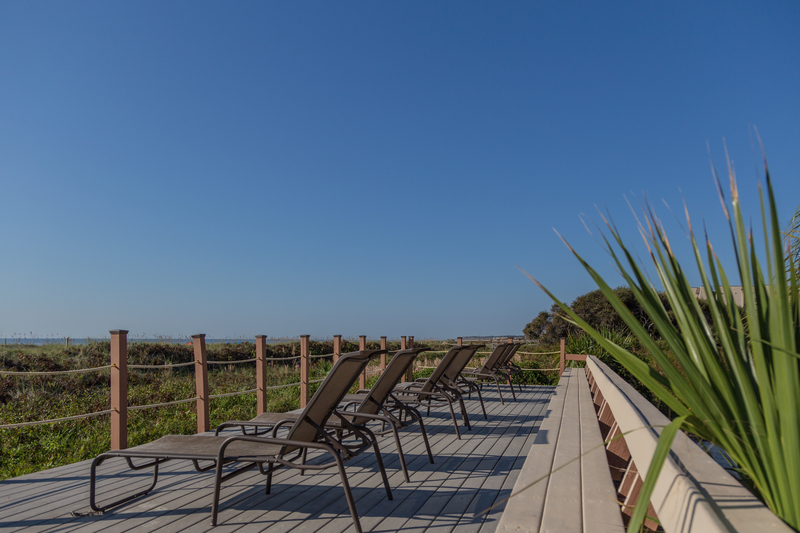 The entire villa has been floored with lovely planking. 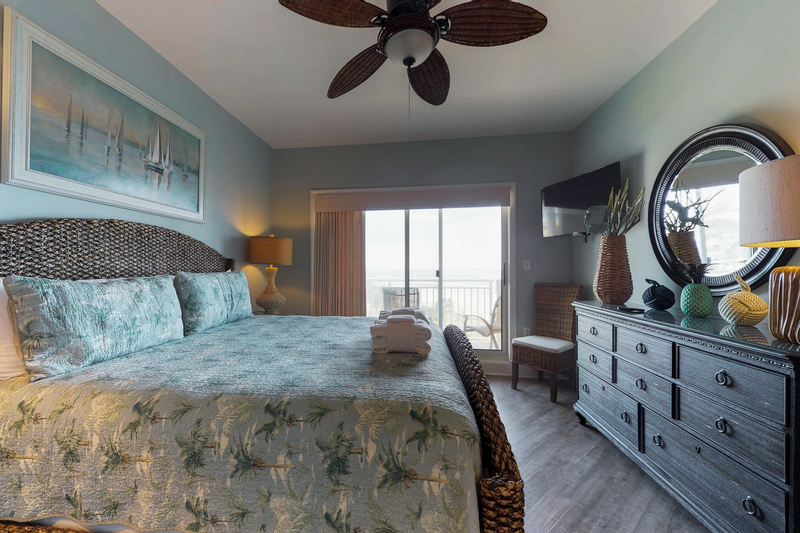 The main master bedroom has direct oceanviews and features a king bed with a uniquely beautiful wicker headboard and frame, a 39" flat screen TV, private balcony, and private bath with oversize garden soaking tub and separate step-in shower. 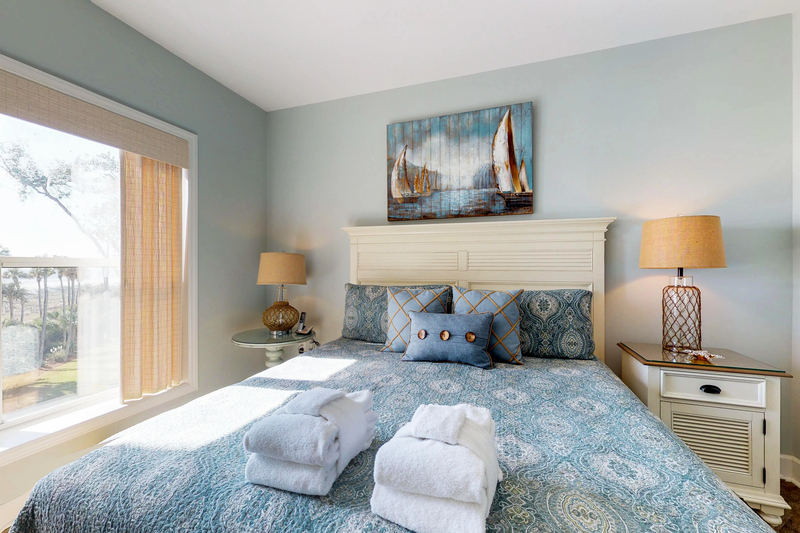 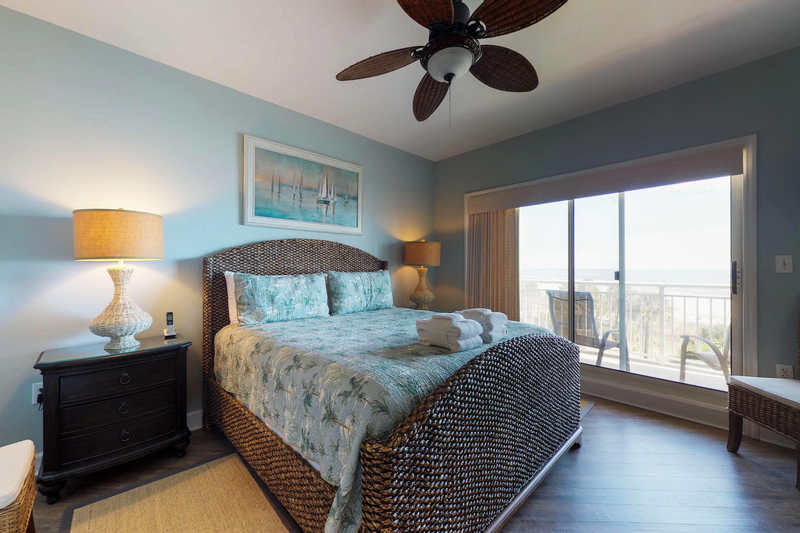 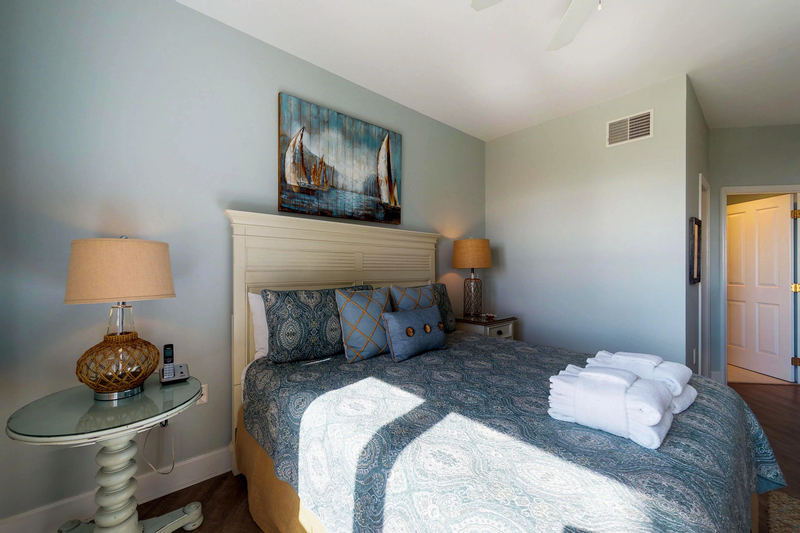 The second master bedroom has oceanviews and is furnished with a king bed and 32" flat screen TV. 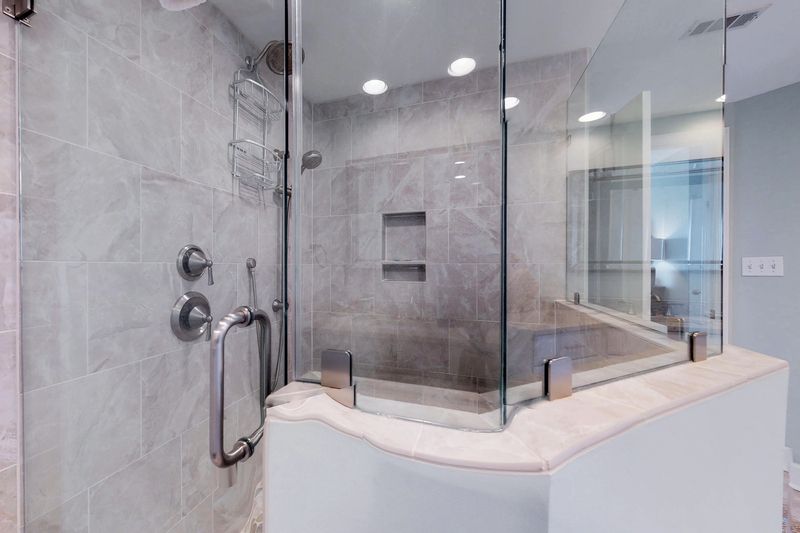 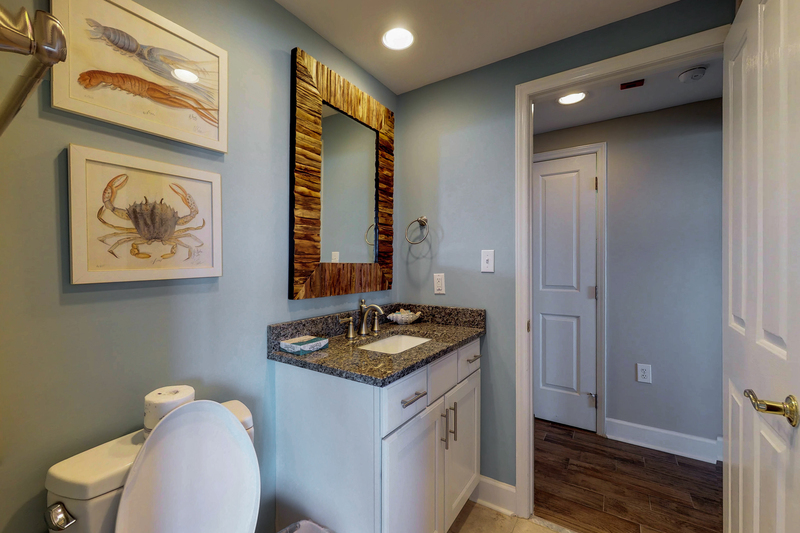 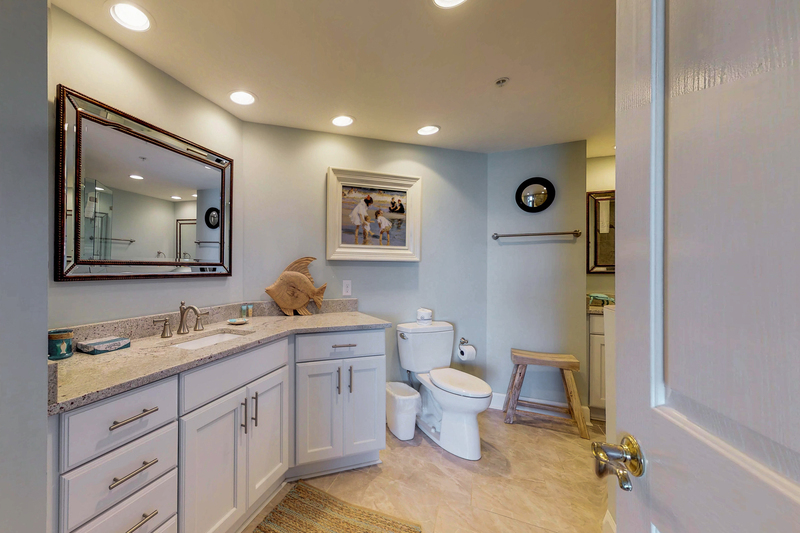 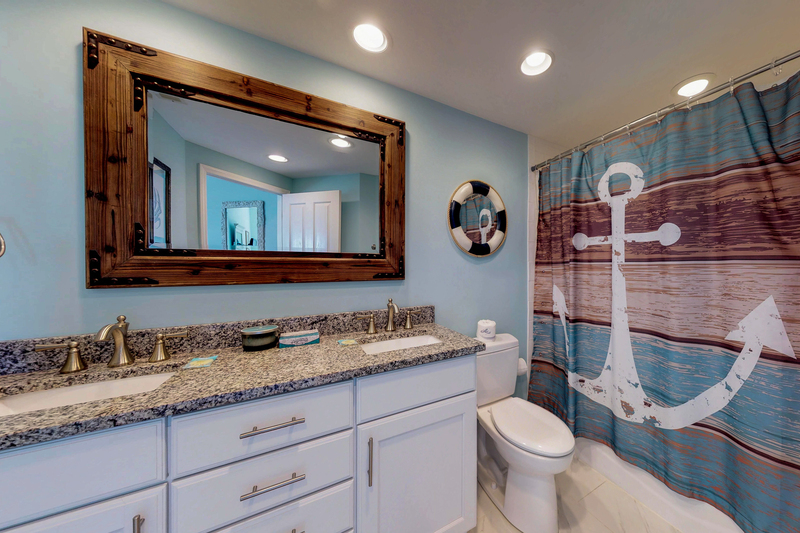 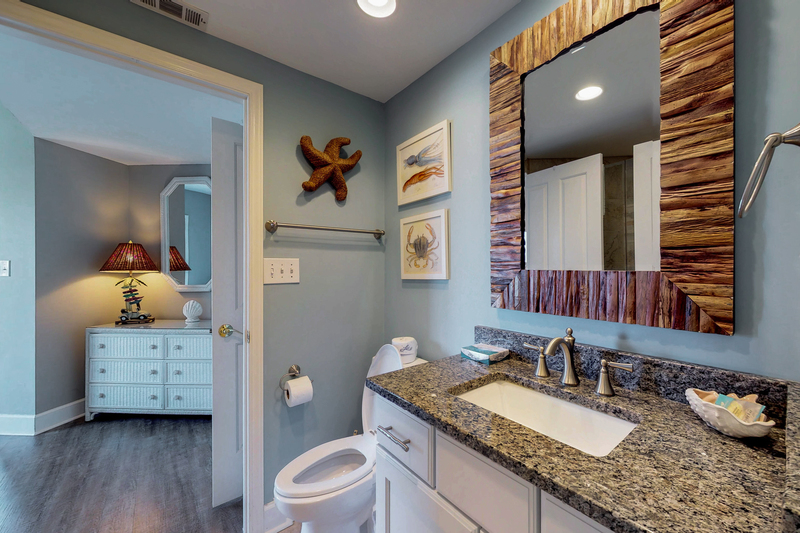 It has a private bath with soaking tub/shower combination. 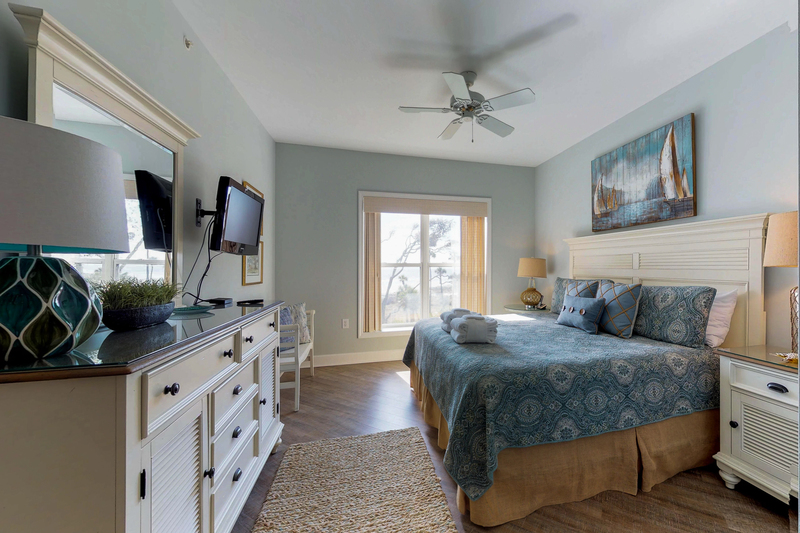 The third bedroom also has direct oceanviews and offers two twin size beds, 32" flat screen TV, and a bath with step-in shower that can be accessed from the bedroom or hall. 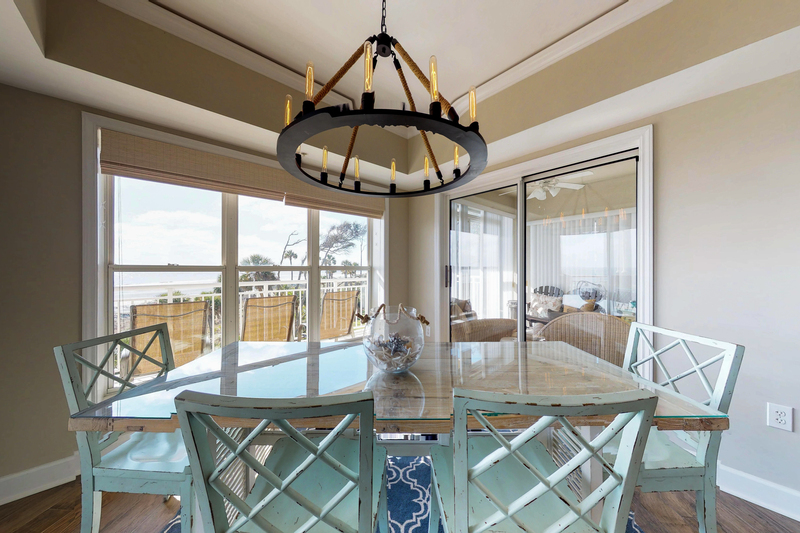 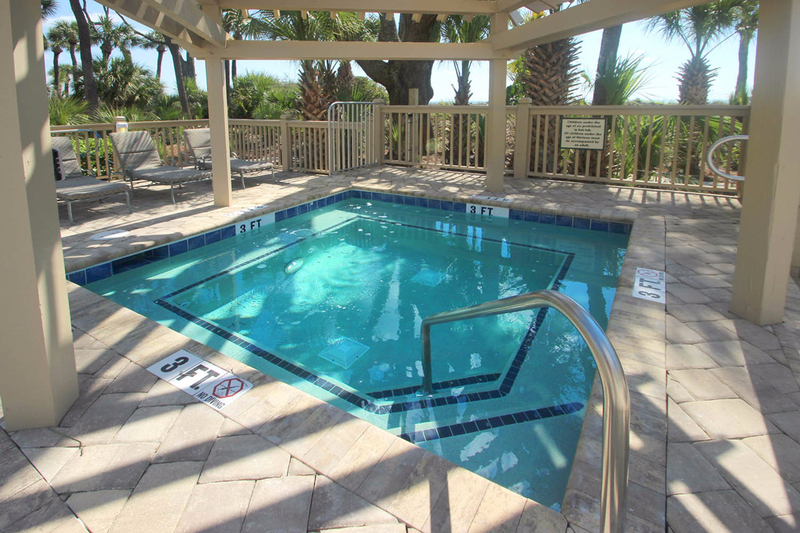 Hampton Place is considered one of the best villa complexes in Palmetto Dunes and the entire island, and this particular villa is as nice as they come. 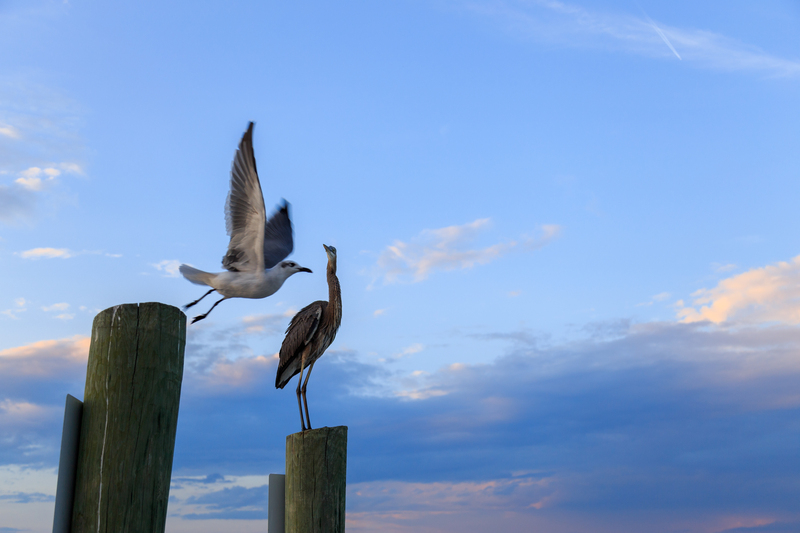 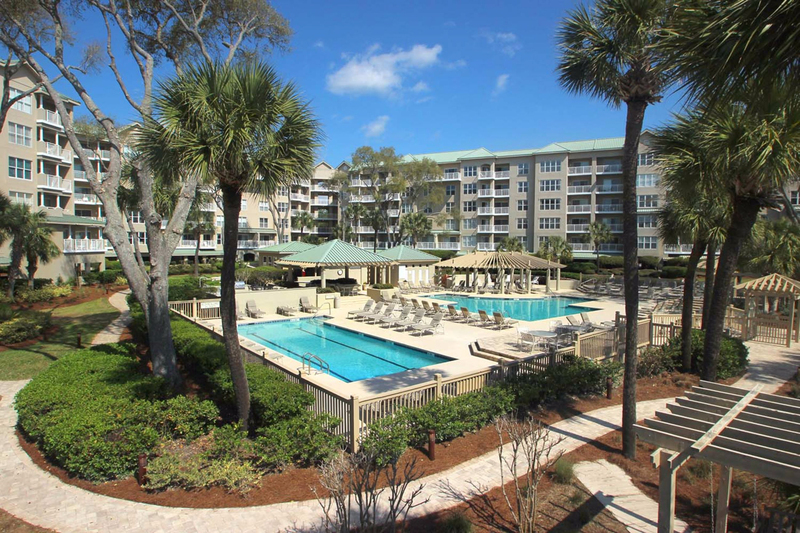 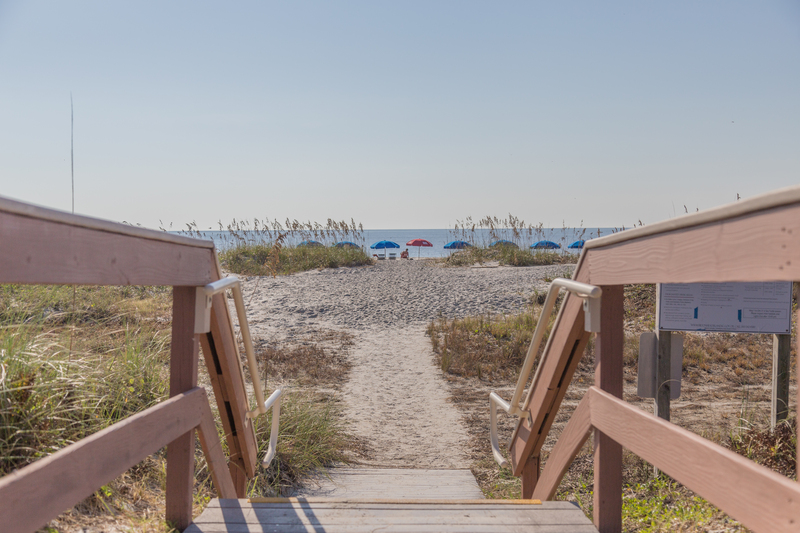 Located mid-island Palmetto Dunes offers plenty of world-class restaurants, golf courses, tennis facilities, and shopping. 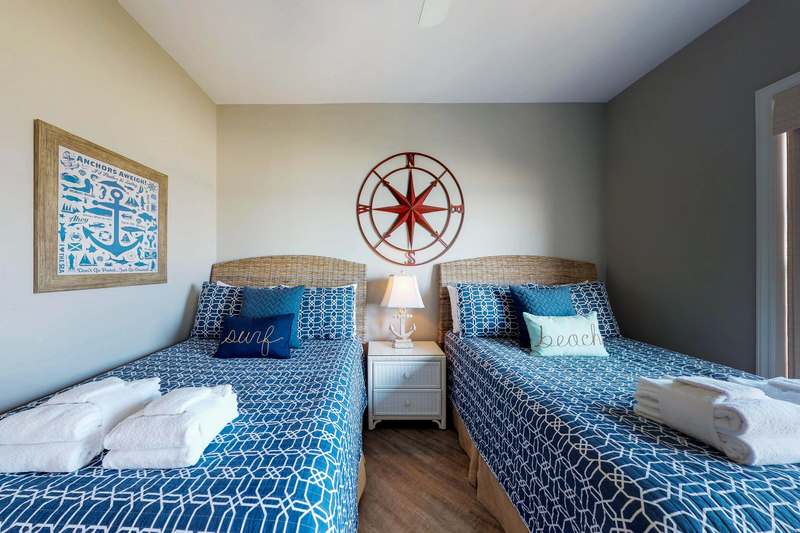 This is one great place for an enjoyable, relaxing, and unforgettable vacation! 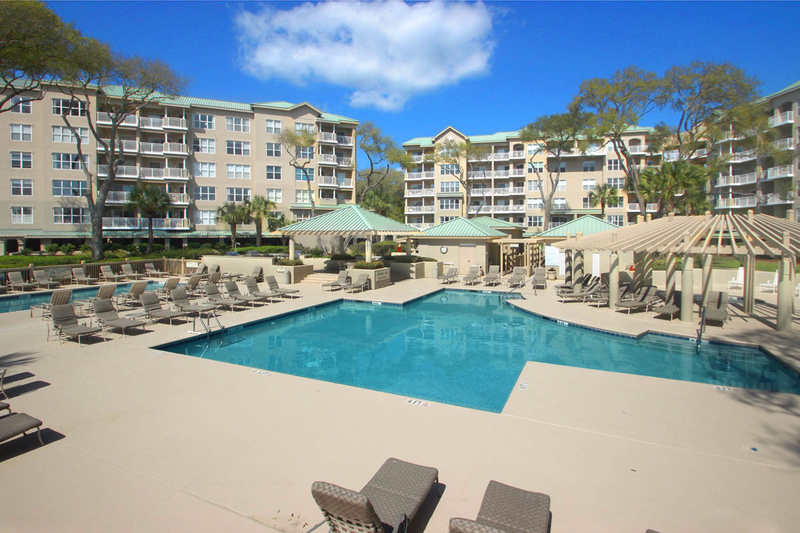 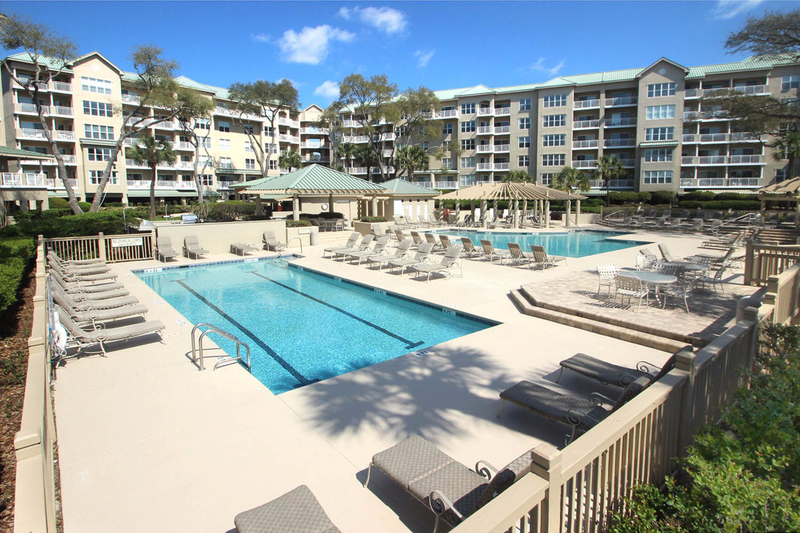 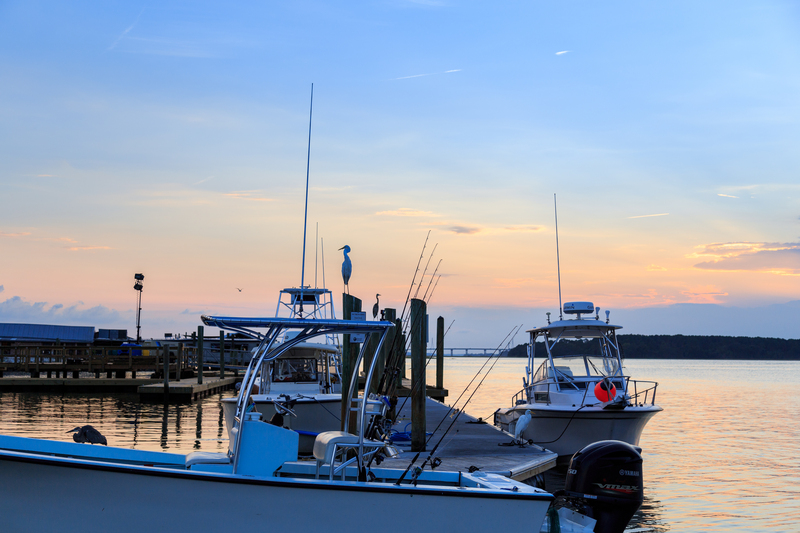 Our family just enjoyed a great fun-filled week in Hilton Head at 5309 Hampton Place. 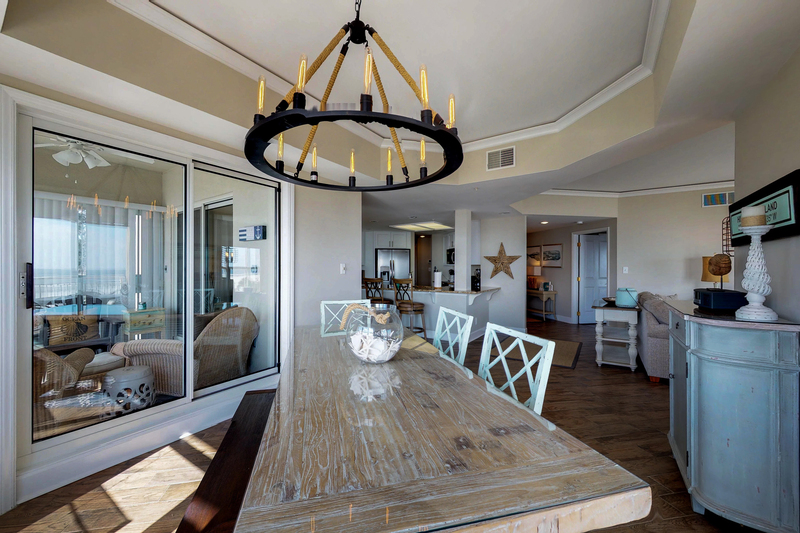 The condo was beautiful—very clean, spacious, comfortable, beautifully decorated and perfectly located with gorgeous views of the beach from every room. 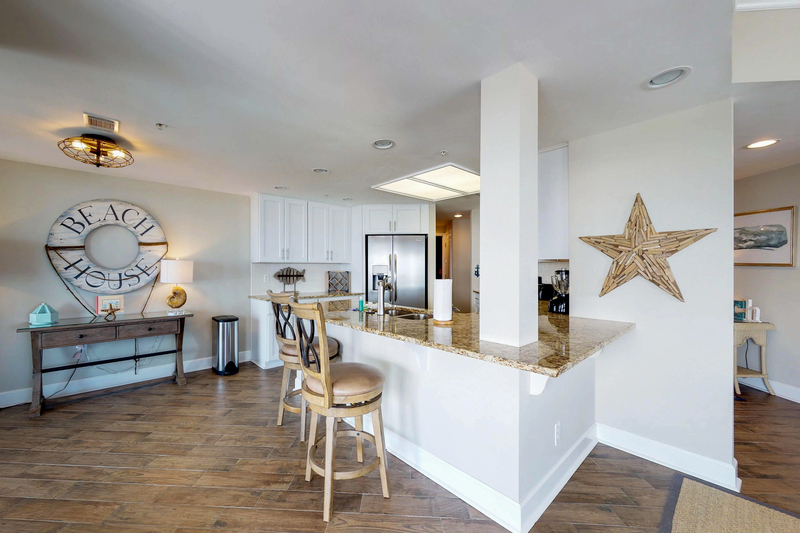 The condo was immaculate! 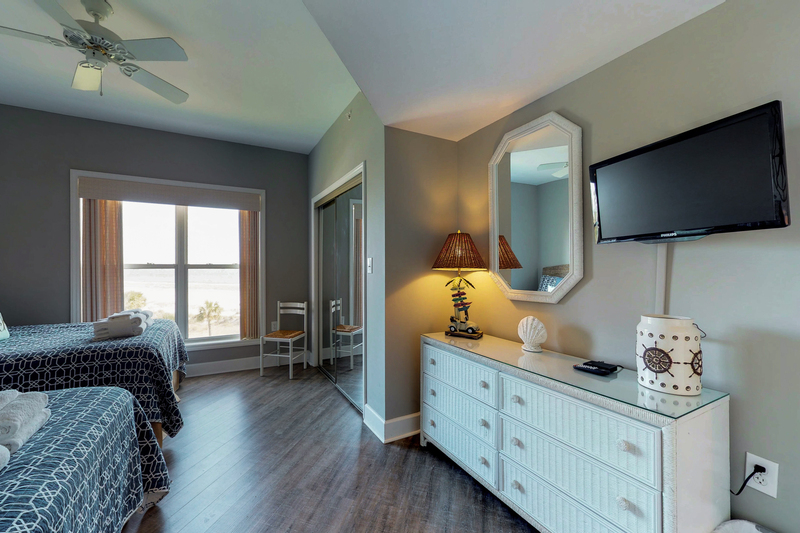 Renting this unit through your company was a very pleasant experience and we will certainly contact you should we return next year. 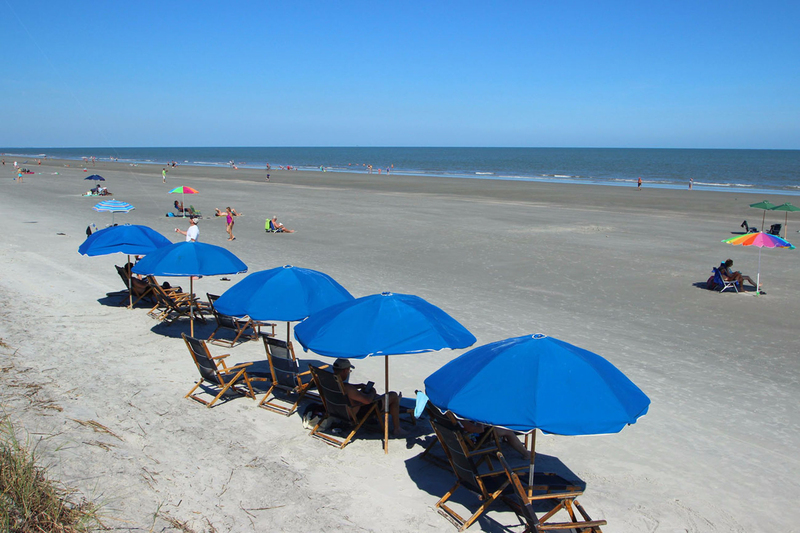 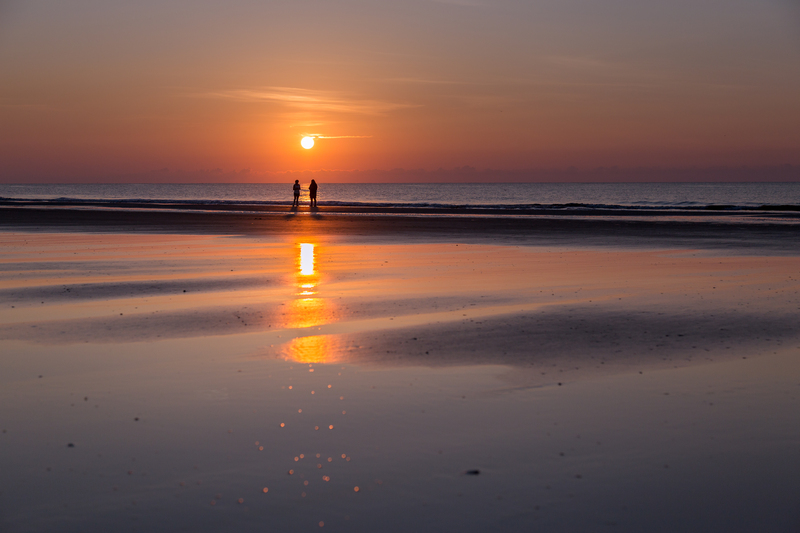 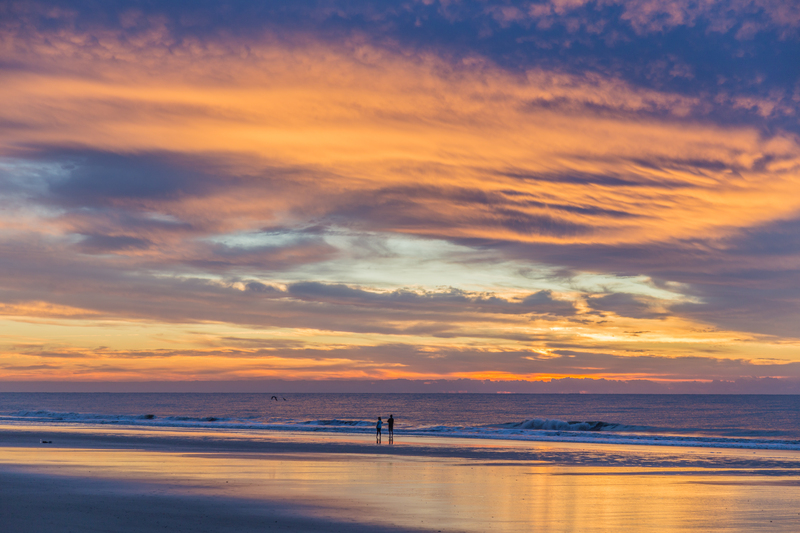 Loved Hilton Head and the accommodations! 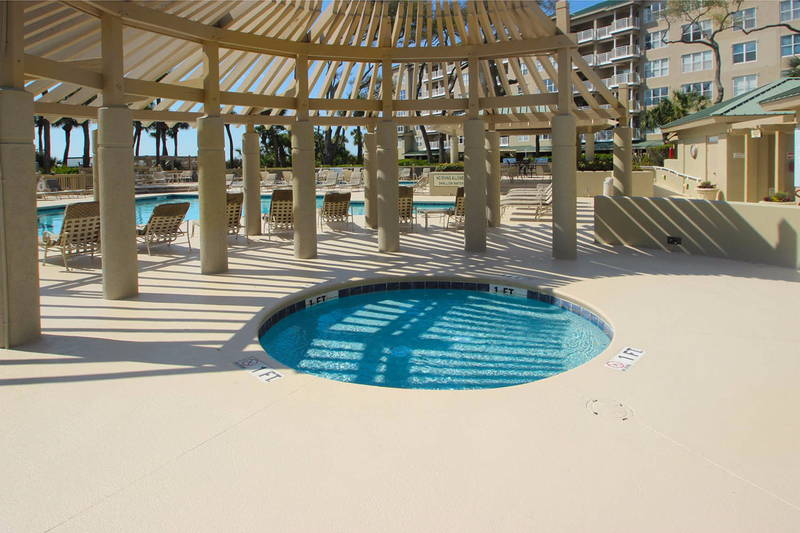 Resort Rentals did a great job, smooth and easy. 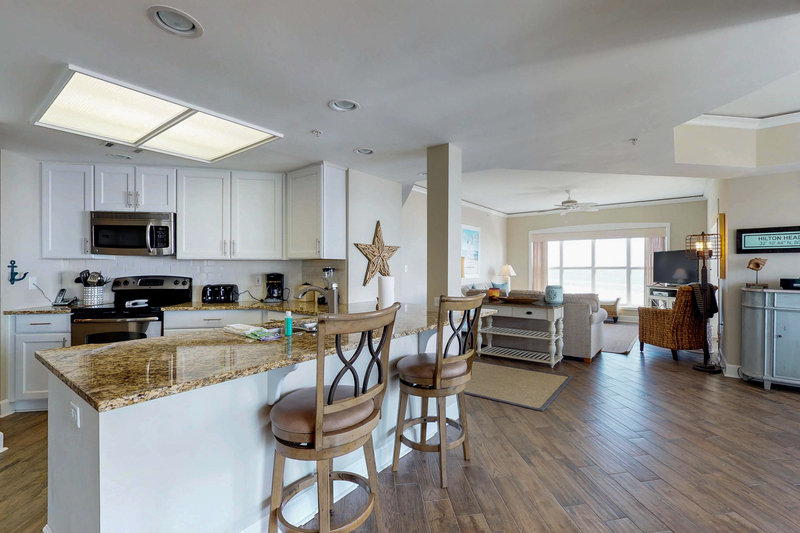 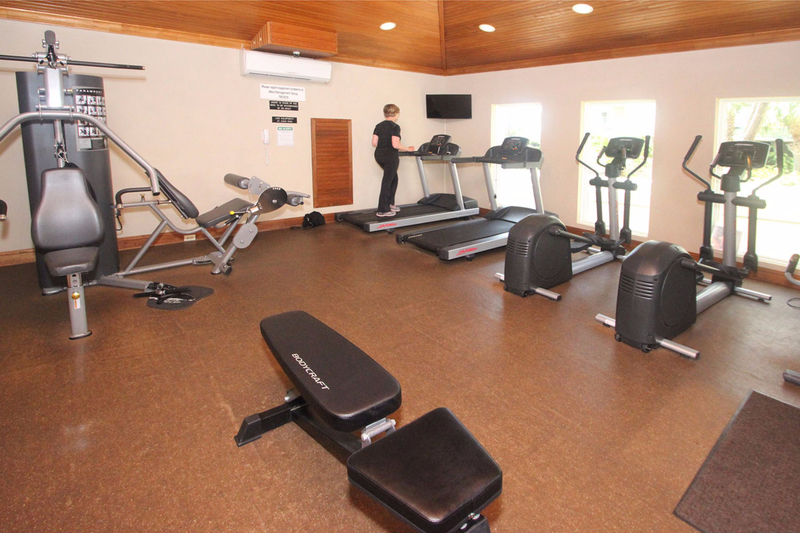 I cannot express enough how much we enjoyed staying at your property, Hampton Place #5309! 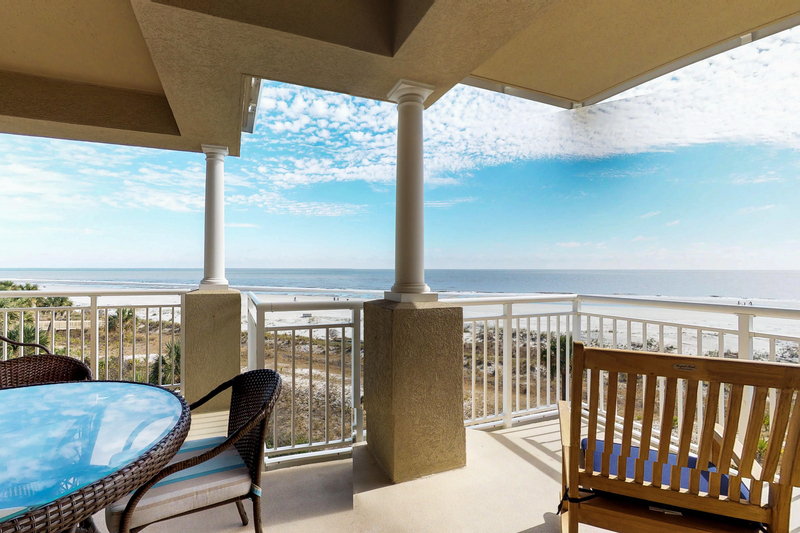 The condo is beautiful and the view from the various balconies, even better! 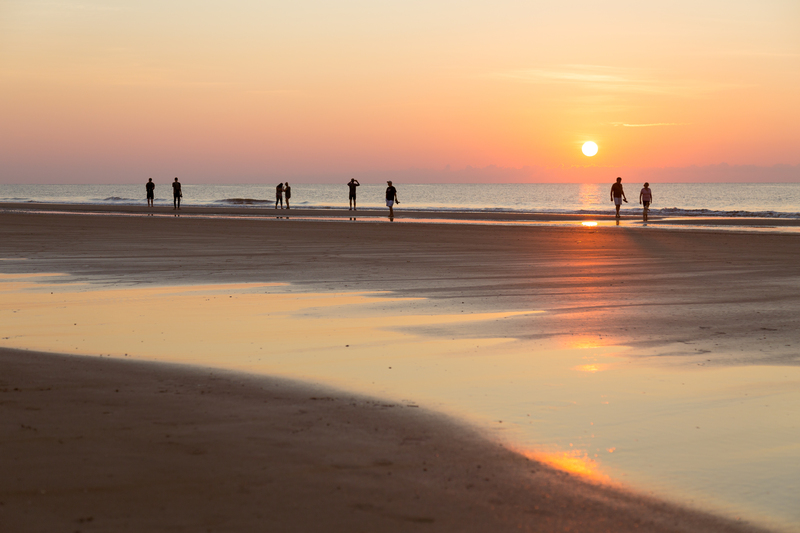 Thank you very much for a very memorable vacation for our families. 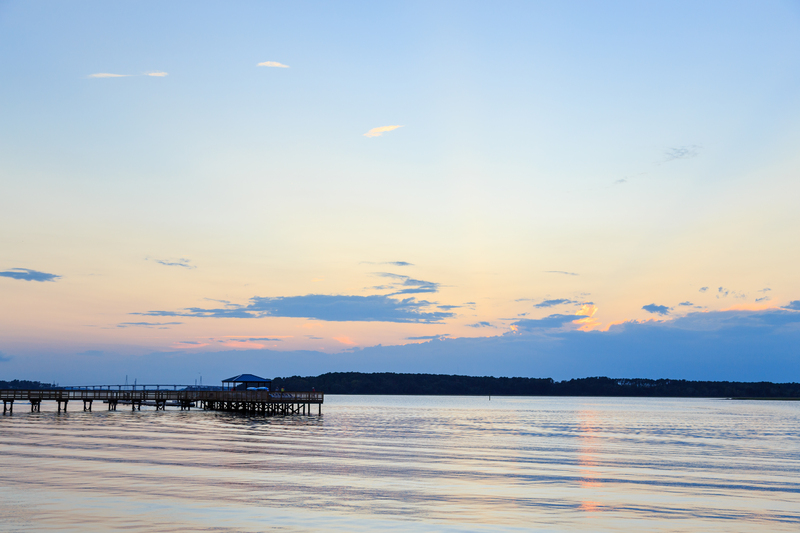 We look forward to our return in 2019!